We’ve collected some really interesting ideas in the Frederik Hendriklaan – Scheveningen, The Hague. It was very cold and wet that day. So especially for everyone that dropped by in these dire weather conditions: Thanks for sharing your ideas and your positive feedback! 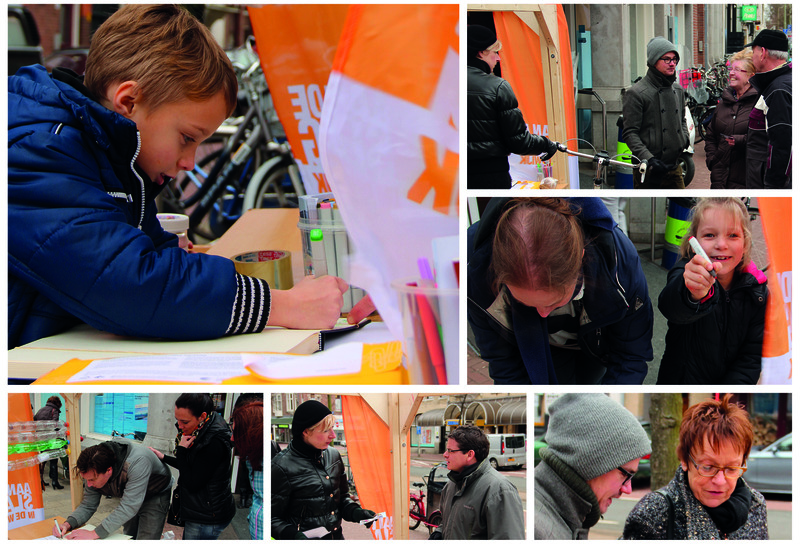 All your ideas have been placed on the map at Create Your The Hague.com. Photo’s of the event can be found at our Facebook page. Check them out and share the ideas on your Facebook timeline. Thanks! This entry was posted in Press release, Projects and tagged createyourthehague.com, cyth, frederik, greenhouse, hendrik, idea, laan, scheveningen by simondroog. Bookmark the permalink.